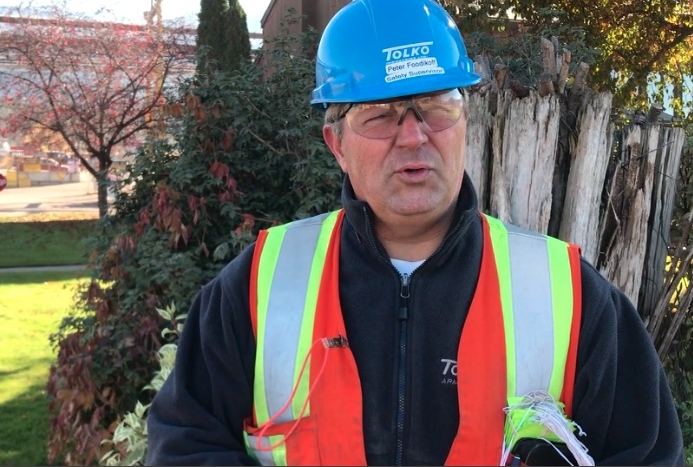 Oct. 22, 2018 - Tolko Armstrong in the B.C. Interior is undergoing a $35-million capital investment project to optimize its sawmill facility. In 2015 the planer mill had a similar $18-million treatment and now boasts impressive speeds and automation. Tolko Armstrong Lumber Safety Supervisor Peter Foodikoff takes CFI on a tour inside the Armstrong sawmill and planer mill. Look for a full feature article on the mill’s investments in a future issue of the magazine.